An extensive research and monitoring programme of black-tailed godwits at the Nene Washes. Maintaining and enhancing black-tailed godwit wet grassland habitat at the Nene and Ouse Washes, providing the right conditions for the species to thrive. A range of steps to reduce the impact of predation on black-tailed godwits, with the aim of increasing nest and chick survival. Using colour ringing and tracking to improve our understanding of the local and migratory movements of black-tailed godwits. Trialling a rear-and-release programme, known as “headstarting”, in a bid to supplement the small population of black-tailed godwits breeding at sites adjacent to the Ouse Washes. Running a range of events for local communities and schools, to raise awareness of black-tailed godwits and their special wetland habitats. I hope you enjoy exploring our new website. For latest news from the project, you can sign up for our email alerts. Or if tweeting is your thing you can follow us on twitter @projectgodwit. 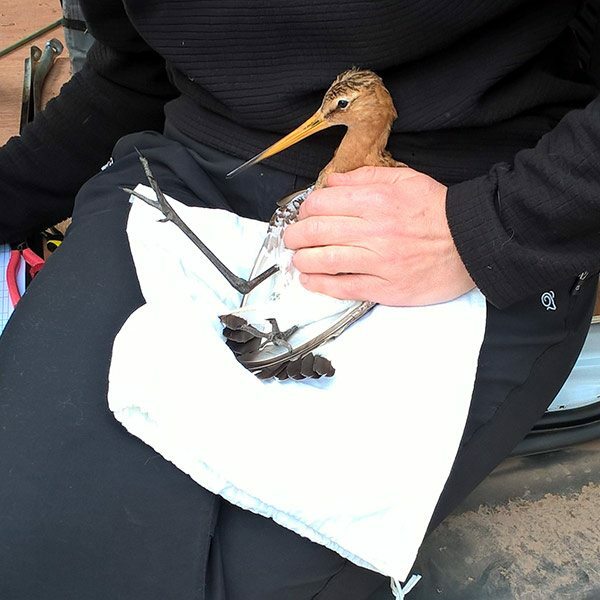 Will Tiny Tracking Devices Reveal Godwit Migration Secrets?